Researchers from around the world came together in Washington, DC, this week to discuss the rapidly developing technology of human gene editing. 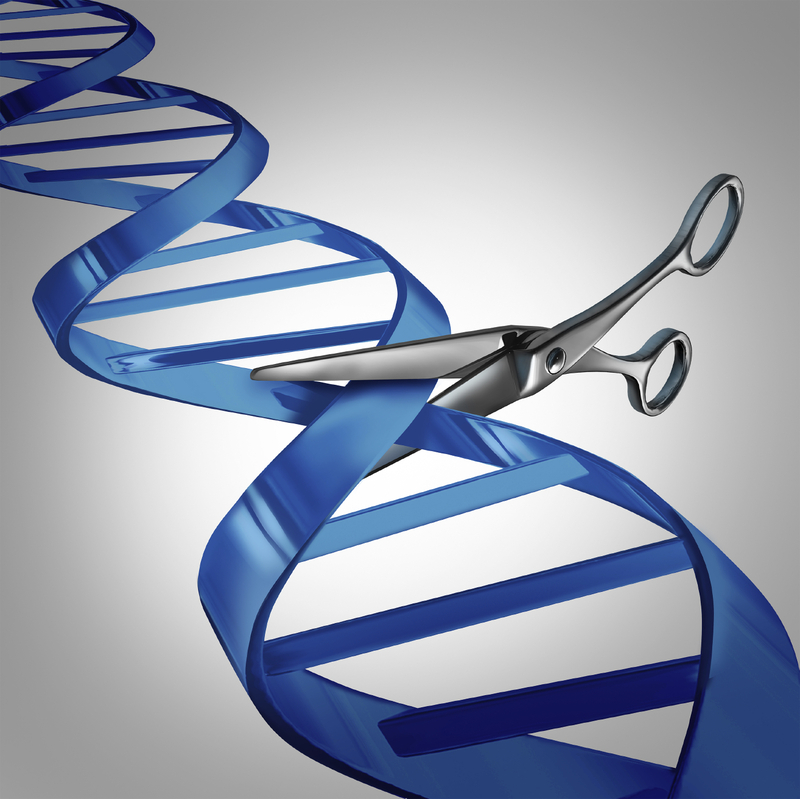 At the International Summit on Human Gene Editing, hosted by the U.S. National Academy of Sciences in Washington, the Chinese Academy of Sciences and the UK's Royal Society, much discussion surrounded a newly developed gene editing biotechnology called CRISPR -- derived from a bacterial protein -- that lets scientists clip away or tweak specific portions of DNA. It has the potential to help get rid of certain diseases by splicing out defective snippets of our genes. But because of the unknown long-term impact, some leading scientists are calling for a moratorium on its use. At the summit, a handful of key issues came up again and again: What types of diseases could be treated with human gene editing technologies? What potential risks and side effects could there be? And what are the ethical issues surrounding the new technology? CBS News spoke with experts from various areas of medicine, most who attended the summit, about these big questions. What diseases could be cured? "Basically, you're going to be looking at genetic diseases where you're looking at a single gene and you'll go in and disrupt or replace the malfunctioning gene," said Françoise Baylis, a philosopher and bioethicist at Dalhousie University in Halifax, Canada. Cystic fibrosis, polycystic kidney disease, hemophilia, Tay-Sachs disease, and some breast cancers are among the conditions scientists might first look to treat, explained Dr. Arthur Caplan, founding director of the division of medical ethics at NYU Langone Medical Center's Department of Population Health. "They're called point mutations. They're the first places you'd try to go," Caplan said. But scientists believe that's only the beginning. "I hope that there will be a move beyond, to more complex diseases and disorders," Baylis, a member of the organizing committee for this week's summit, told CBS News. She pointed out that the meeting was divided into discussions about two types of gene editing therapies: Somatic (non-reproductive) cell therapy, which involves treating individual sick people, and the more controversial germ line therapy, which involves editing genetic material in embryos. Baylis said the CRISPR advances make more "fanciful" ideas about using gene editing for human enhancement "seem all the more possible," too. Caplan said that back in the late seventies, scientists swore they'd never touch the germ line -- embryos. "They were terrified it was eugenics, Nazi Germany. In order to keep people calm, scientific leaders said, 'Whatever we do with genetic changes, we're just going to stick with somatic cells , don't worry about it, we're never going do that.'" But Caplan said that's always what scientists say when they don't have the ability to do something; now, with an editing tool such as CRISPR, the conversation is changing. Does that mean scientists will be able to engineer changes to eye or skin color, or give people mega-strength? Maybe, said Caplan. "I think it's reasonable to presume you could tweak things for strength, more muscles, endurance, or to be able to run or travel further." You might be able to enhance memory, to make a person able to retain more or learn faster, he said. Someday, he said, "I think you could tweak genes that would allow you to perceive more. You might be able to see more like a bat, sense more of the radiation spectrum. See ultraviolet light and parts of the energy spectrum we don't see but that other creatures do. Eagle-eye vision." "You could certainly make people more disease resistant, less likely to get a cold or the flu. Or to fight off MRSA or E. coli -- build up their immune systems. Enhance them so they could enjoy more pleasure. They've been doing a teeny, tiny bit in animals," said Caplan, who will lead sessions on ethical and regulatory issues of gene editing in animal research next week in Washington, DC. But such knowledge is still years away, he added, and scientists at the summit made it clear that the aim of the new technology is to heal the sick. Dr. Mitchell Weiss, chair of the hematology department at St. Jude Children's Research Center, told CBS News that somatic therapies to treat individual patients are already being tested in clinical trials. He said the technology has the potential to treat conditions such as HIV, hemophilia, sickle cell anemia, and some forms of cancer. "Genome editing directed toward bone marrow is another application," he said. The bone marrow can be removed, genetically edited in the lab, and then returned to the body. This technique, he said, may lower the health risks of a current treatment option for children with sickle cell anemia, an inherited condition in which there aren't enough healthy red blood cells to carry enough oxygen throughout the body, for example. The main worry about CRISPR is the same worry you'd have using any gene therapy, Weiss said: "You mess around with the genome, and are you going to shut off something important or turn on something bad?" Past investigational gene therapy led to cancer in some patients, he said. "The major risk that people are concerned about -- there are different kinds of risk -- but the most significant right now is 'off-target' side effects," said Pilar Ossorio, professor of law and bioethics at the Morgridge Institute for Research at the University of Wisconsin-Madison. She said once you put a CRISPR gene editing "tool" into a person's body, it can travel throughout the body and might get into other cells that you're not targeting. So the aim will be to figure out how to apply the gene editing only to the cells and tissues that scientists want to hit, without affecting anything else. "Cells are dying all the time. If all it does is cause a cell here or there to cease to function, though, that will probably not be noticeable," Ossorio said. What are the ethical issues - and potential for abuse? "Our traditional ways of understanding risk and benefit completely apply. We have to make those calculations whenever we use a new kind of therapy," said Ossorio. More risk may be acceptable for patients who have no other good treatment options. "For medical applications, the first applications are that we are trying to treat a disease. There is a human being in front of you who has a very serious disease, and you wouldn't start studying this technology in a person unless that person didn't have alternatives. Maybe existing therapies didn't work for them or there are no existing therapies," Ossorio said. In somatic cells, gene editing will not be transmitted down to future generations, she said. However, Caplan pointed out, it's not clear yet how germ line gene editing will affect future generations. It's possible that those genetic changes could be passed down when the person has children. Kyle Orwig, the director of the Molecular, Genetics, and Developmental Biology Program at the University of Pittsburgh School of Medicine said, "My ethics are mostly focused on medical need and safety and efficacy. If you haven't proven safety and efficacy in animal models, you shouldn't proceed to clinical trials. And if you have, you should. And don't make trials any bigger than they need to be," to avoid exposing more people to any potential risks. He added, "There's the claim that ethics go beyond safety and efficacy. That's there's some kind of slippery slope, but I think most of these arguments disappear once safety and efficacy is shown." "It's good these discussions are taking place," Caplan said. "At the same time, I think we've got to be realistic. Better than fighting about bans or prohibitions, is to fight about what rules we want in order to try to fix disease in the germ line." Another concern raised at the summit involved social justice -- equity when it comes to medical care. Gene editing technologies are costly and many experts said they're concerned that patients who might benefit from them would not have access. Weiss said sickle cell anemia, for example, one of his areas of expertise, impacts many inner city and low-income patients, not to mention those in the developing world. "If you live in Africa or under-developed countries, health care is very different," he said. But Caplan said disparity will not slow down technological innovation in this case, and rarely does. "The equity thing will not work as an argument. Right now there are kids in New York City going to the finest prep schools and in Mississippi, there are kids who don't have books," he said. "Some people get care at the Mayo Clinic and some people don't have health insurance. We have neonatal care rescuing babies here in the U.S. yet many children in Africa are dying of diarrhea. I don't think it will hold things up. It would be more reasonable to try and set things up so that disease repair by gene editing is more affordable." After three days of intensive discussion, the members of the organizing committee for the International Summit on Human Gene Editing issued a statement of conclusions. They called for more "intensive" basic science research, and for the use of existing and evolving regulatory frameworks for somatic cell clinical investigations. They also highlighted the need to address the complex issues that relate to germ line editing, and the importance of ongoing discussions as the science moves forward.